This item makes folders easy to open with one hand. 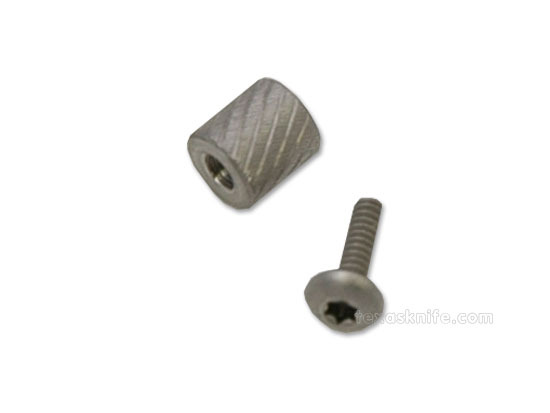 It consits of a stainless steel knurled nut and stainless steel screw with? Allen head. The nut is about .200" o.d. and 3/16" long. The screw needs a .080 dia hole to slide through and tighten up in the nut. Use #44 drill and Allen Wrench below. Set consists of (1) nut and screw.